A new McFlurry which is a collaborative product of MacDonald’s and Panapp will be sold. 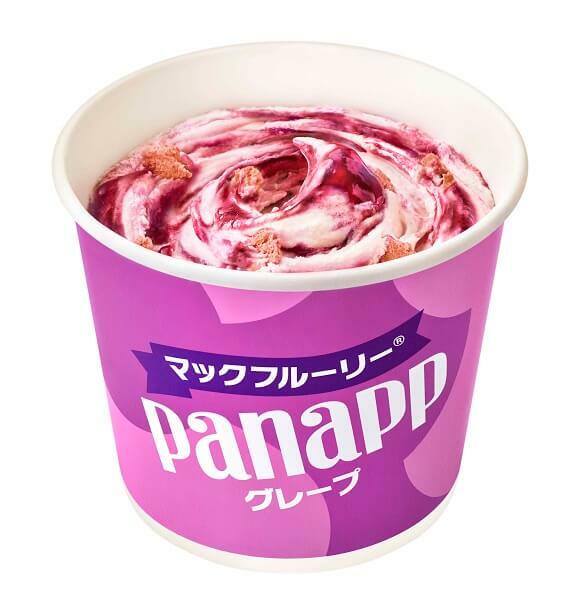 The popular food item of McDonald’s “McFlurry” and the popular ice cream product “Panapp” collaborate! 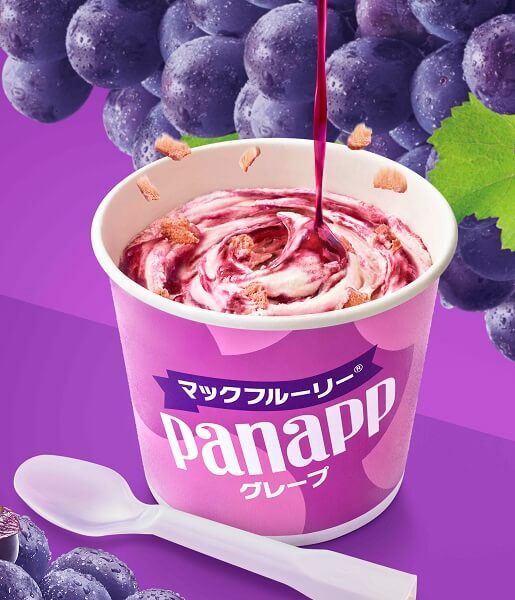 “McFlurry Panapp Grape” will be sold from the 25th of October (Wed.) at MacDonald’s throughout Japan. The “McFlurry” series has been releasing many kinds of collaborated versions but a “forbidden” collaboration has now become a reality. “McFlurry” is a product which has a unique and soft texture mixing toppings and sauces on rich soft-served ice cream and “Panapp Grape” is a product made with the fabulous scent of fruits and juicy fruits sauces. Can’t wait to try out this collaborative product created by these two long-seller items! 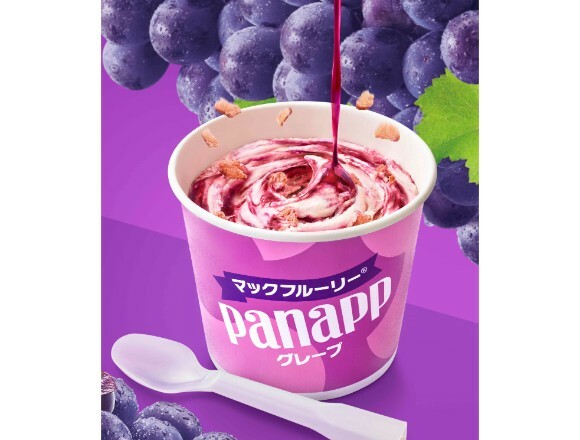 “McFlurry Panapp Grape” is a cold dessert that includes rich soft served ice cream, grape sauce produced by Ezaki Glico and crunchy waffle corn. The highlight of this product is the fruity grape sauce created based on the recipe of Panapp Sauce. Let’s enjoy the crunchy/soft texture of “McFlurry” with the juicy taste and wonderful scent of grape.